Funbridge is an online bridge game allowing you to learn and play duplicate bridge wherever and whenever you like. Bridge is a card game played with four people who play as two competing teams of two players called "pairs" (North-South and East-West). The players of the same team sit across from each other at a card table. Bridge consists of two parts: the auction, which determines the contract to fulfil, and the play, where the side that wins the bidding tries to take the tricks necessary to make their contract. On Funbridge, you play South while North, East and West are played by the same artificial intelligence (AI) at all tables. So no need to wait until other players are available to play. The AI is available 24/7! Other players play the same deals as you. The aim is to achieve the best result. You enter rankings allowing you to compare your play to other players. Funbridge is designed for any type of players: from beginners (introductory module, lessons, exercises) to experts (tournaments). 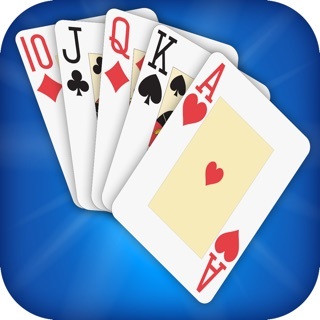 It also suits any player who wants to start playing bridge again (practice, challenges against friends). - Get started with bridge: (re)discover the basics of bridge. - Series tournaments: perfect to see how you compare with players of your level. - Tournaments of the day: compare yourself to players from all around the world. - Practice deals: play deals at your own pace without stress. - Face the elites: pit yourself against top players from the Elite series. - Challenges: challenge any player in head-to-head tournaments. - Two-player game: practise with your favourite partner. - Team Championship: create your team and compete against teams from all over the world. - Federation tournaments: improve your federation ranking thanks to official tournaments held conjointly with bridge federations. - Funbridge Points tournaments: play these tournaments to enter the Funbridge Points rankings and compare yourself to all players. - Exclusive tournaments: create your own tournaments and discuss the deals you play. 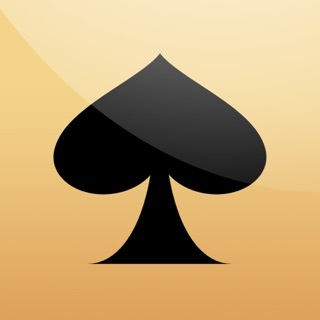 - Commented tournaments: get valuable advice from a bridge champion. Internet connection required: the AI is not in the app, which is therefore much more efficient and we can continuously improve it without you having to update it. The Funbridge app offers a monthly subscription (1 month) and a yearly subscription (1 year). If you subscribe in another currency, the price may vary slightly if your bank charges you a conversion fee. Payment for your subscription will be debited from your account after your purchase is confirmed. The subscription is automatically renewed at the end of the subscription period. The bank account associated with your payment card will be debited via your iTunes account. You can stop the renewal of your subscription at any time from your iTunes account. Please do so at least 24 hours before your subscription expires to avoid unwanted renewal. No unused subscription period will be refunded. Overall optimisation and fixed bugs. They should call this "No fun bridge"
The app is ruined because deals are not random. The key finesse is always off, trumps don't break, etc. If you have AQ the King is offside 99% of the time. OK that is an exaggeration, since it is actually offside 100% of the time. Play for the stiff King, that at least works some of the time. And I am getting really tired of the defense coming up with the magic singleton opposite an Ace to beat otherwise good contracts. The app also cheats - when you defend the declarer will not take a losing finesse when it is logical to do so, and plays a suit the wrong way instead, except as the cards lie it works. I have played way, way too much real bridge, and know this is NOT random probability. Good contracts that make most of the time don't make here because the normal laws of probability don't apply. And there you go, you just wasted money to play a lousy hand with bad breaks. Why does No Fun Bridge go out of their way to do this to you??? Don't say you weren't warned. Update: has improved somewhat but still not random. One of the most consistantly frustrating games I've played. You expect the finesses to work 50% of the time. I've kept track for about a month now and they work about 2% of the time. K - J on the board? Don't worry.... you can count on the player to your right holding the A - Q. Leading to a K? Almost 100% of the time the A will be behind the K. I saw in one of the reviews that the developers claim it's 50%. That's just plain Bravo Siera. I have hands left with my credit, but I'm deleting the app and will look elsewhere. Forgot to mention, if you're playing in a tournament, don't count on your partner having the same skill level as yourself. You will just be scratching your head alot. I am a developer and I really don't like giving bad reviews. I can appreciate the level of coding excelence that went into creating this app. Why the developers chose to make it so darn frustrating for users is beyond my comprehension. 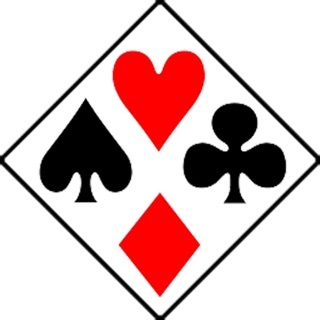 I learned to play bridge 50 years ago, then tried online bridge 20 years ago. At that time, getting to play and talk with people from around the world, but the AI for computer players was terrible! Fast forward to 2019, and being retired decided to take up bridge again at a local club. Funbridge has been great for relearning playing hands, as well as learning new bidding conventions. The feedback is useful, game plays quickly, and the AI is very good. The only reason for 4 stars instead of 5 is that it is expensive to play past your initial free hands, so will probably have to drop it soon, but if you have the $ it's a good program, and free to try in either case.